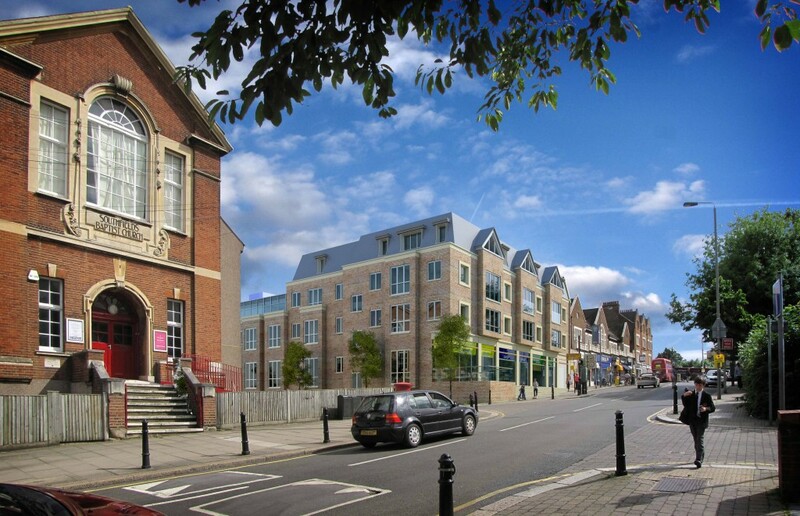 CSA were commissioned to work alongside MAA Architects to provide urban design advice on the scale and form of a mixed used scheme for 23 flats, leisure and retail uses, on the site of the former Rileys Snooker Hall, Southfields. The five storey scheme, which sensitively responded to the streetscene, neighbouring church and neighbouring residential properties was unfortunately refused outline planning permission. Clive Self, CSA’s Managing Director, provided evidence to the Inquiry on the form of the development and its appropriateness in townscape terms. The appeal was allowed and costs awarded against the Council.